Le Grenier à Grains, (4 stars) Sleeps maximum 6. 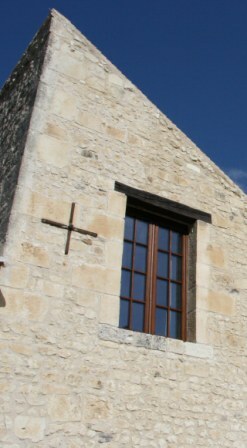 Believed to originate from XV, Le Grenier à Grains' connected the interior courtyard to the outdoor courtyard of the monastery'. 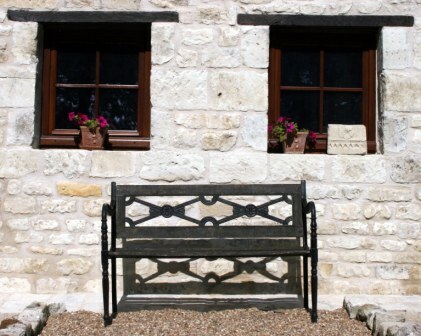 The Grenier à grains is ranked as a 4 stars (official national ranking) gîte. It is also listed "coup de coeur" in the ranking of the Parc Régional Loire-Anjou-Touraine. 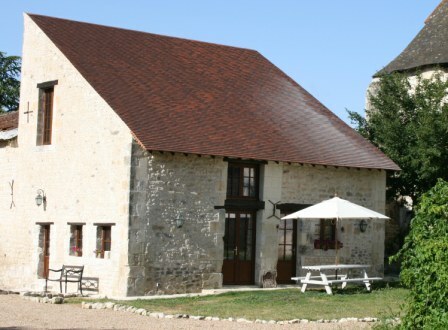 Lovingly restored, this gite retains interior shutters, oak lintels, tiles and stone walls. The modern kitchen is well equipped with a central island and the lounge has a small 'salon' to the side. The circular staircase leads to the mezzanine double bedroom, bathroom and second double bedroom. Here, stone and very heavy timbers revive the historic atmosphere. The spacious feel created internally is echoed outside where a private garden leads to the undercover parking space, communal space and outdoor swimming pool. Low Season See pages "Tariff and Terms" and "Special offers"
Middle Season See pages "Tariff and Terms" and "Special offers"
High Season See pages "Tariff and Terms" and "Special offers"
For more info or for special requests, please contact us ! See also the prices for the Special WE, Long WE, Midweeks, Special UK W-E (regarding the planes to Tours), and Special UK Midweeks (regarding the planes to Tours) !